Explorer Cases are 100% Made in Italy and are recognised to be the most innovative waterproof cases in the market. Our cases are available in three standard colours: Black, Orange, Military Green; long sizes are also available in Sand Colour. 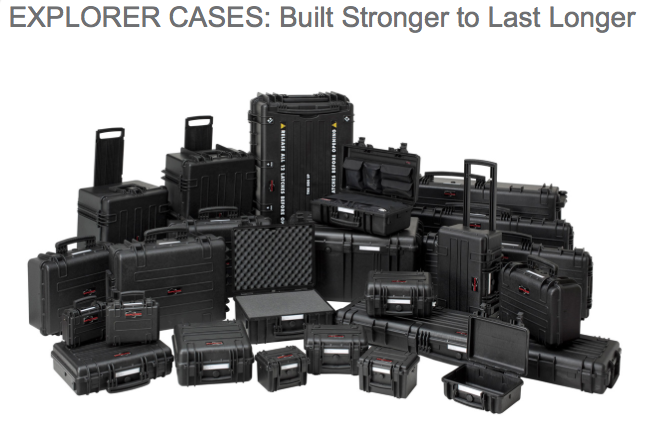 Explorer Cases come in two standard configurations, with or without internal pre-cubed foam layers, for the end users to easily configure the inner space according to their requirements.